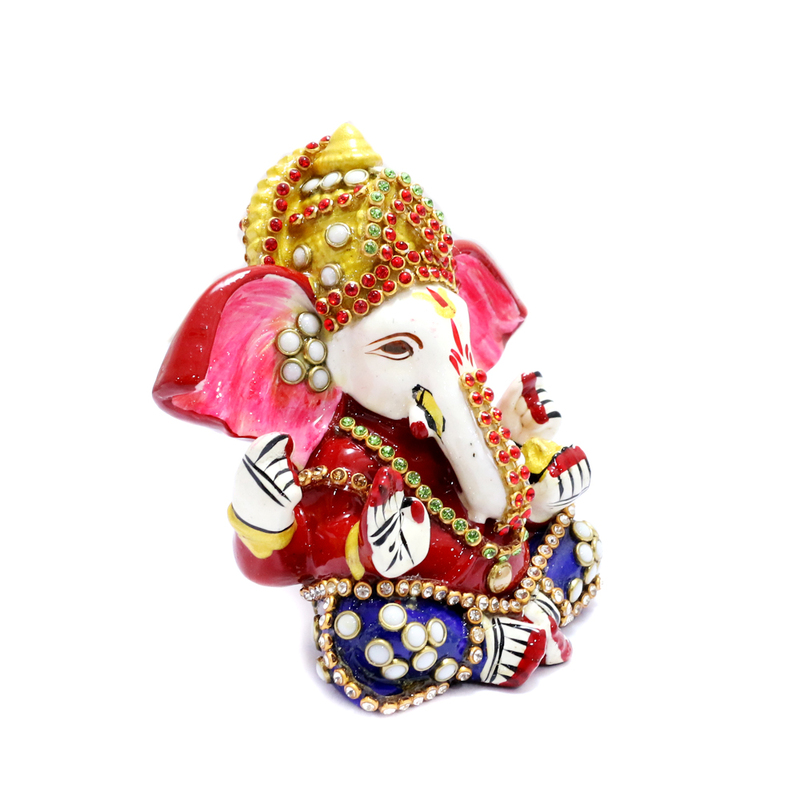 Creatively carved Lord Ganesh has been made of metal which is flushed with meena and stone art work. 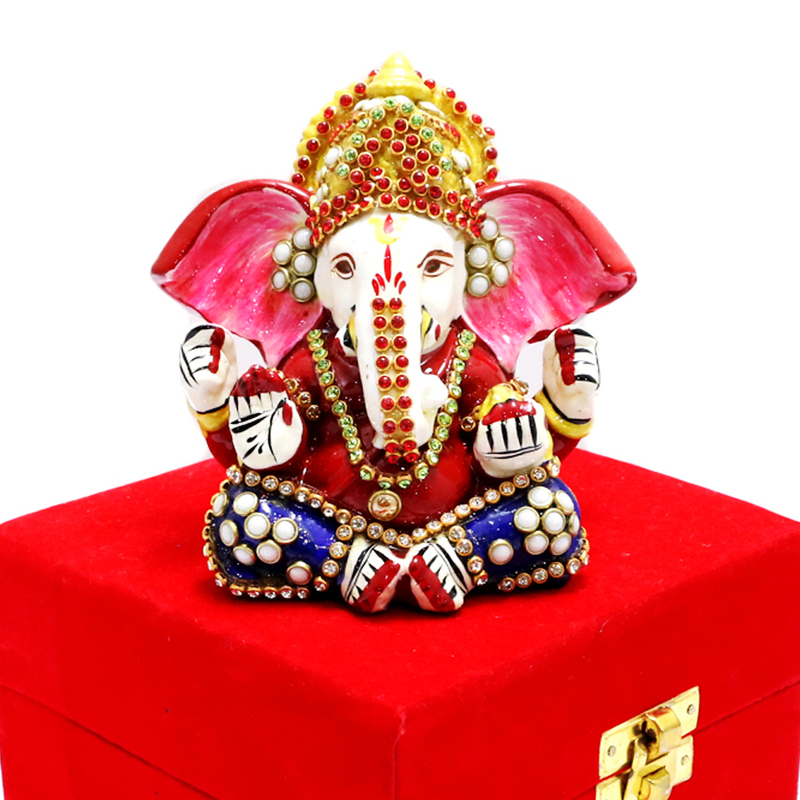 the body of the idol is intricately Read More..detailed with various designs. 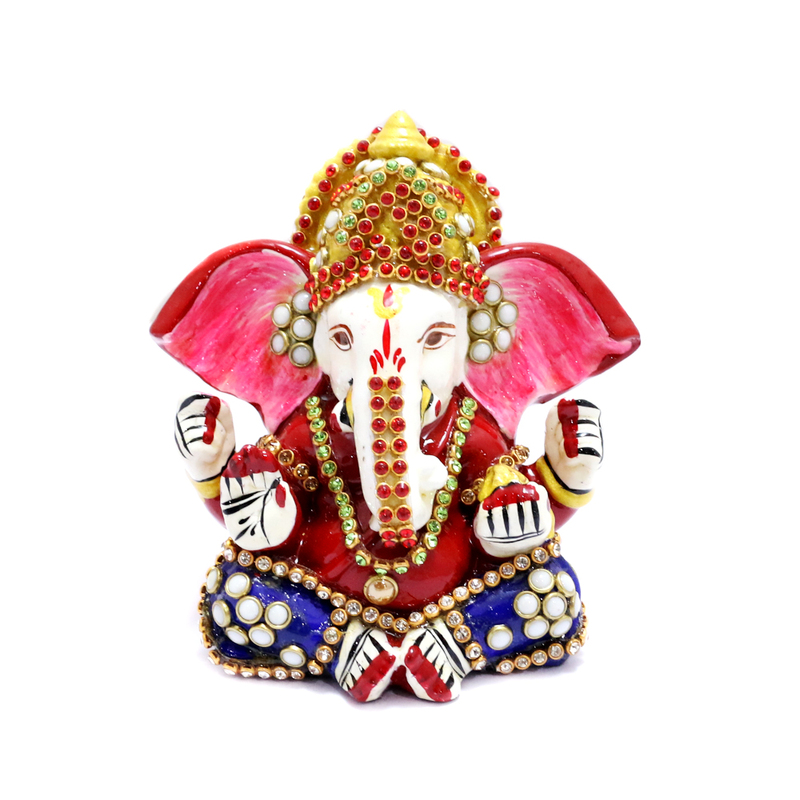 Lord Ganesh hear is wearing a blue tinted dhoti. It definitely resembles good health. Show Less..